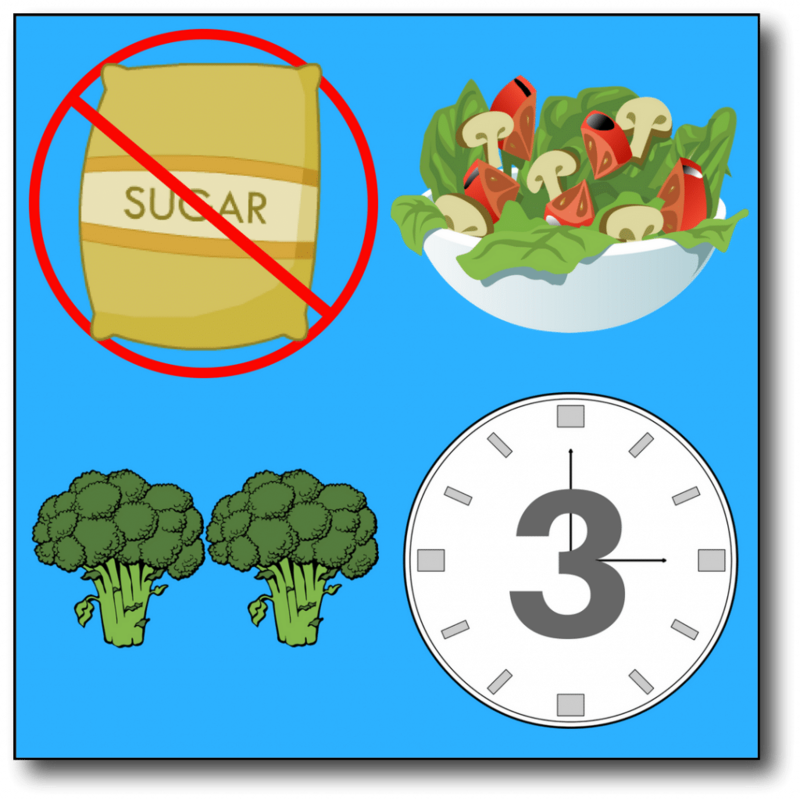 Insulin resistance in the body is a common condition that develops as a direct result of eating the Standard American Diet, which is a diet high in refined carbs and sugar. How Do You Become Insulin Resistant? Insulin’s job is to move nutrients into your cells. Every time you eat these refined carbs and sugary foods, insulin is pulsed out of the pancreas. The insulin makes sure those sugars (or glucose) don’t build up in your blood. When we are eating a high-carb diet, we tend to be hungry more often. The frequent eating that comes with that causes insulin to spike multiple times a day. After a while, your cells get tired of insulin’s constant deliveries, and they resist insulin’s attempts to drop off the glucose. 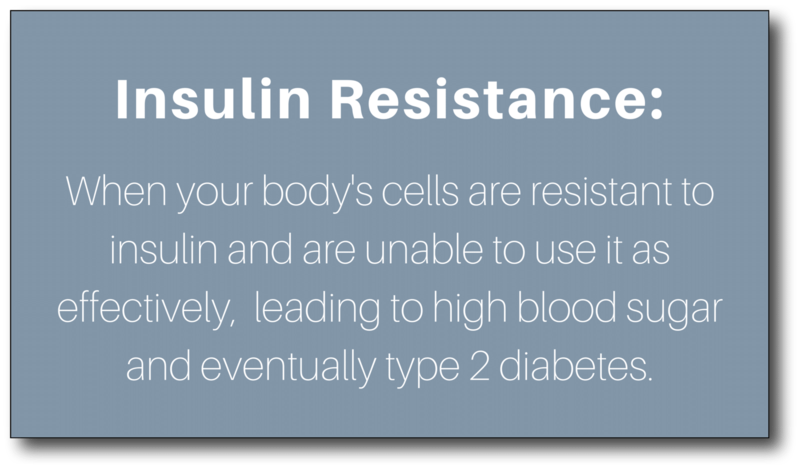 This is the state in the body is referred to as insulin resistance. If left untreated, it leads to type 2 diabetes. We are now seeing that your brain can also become insulin resistant. 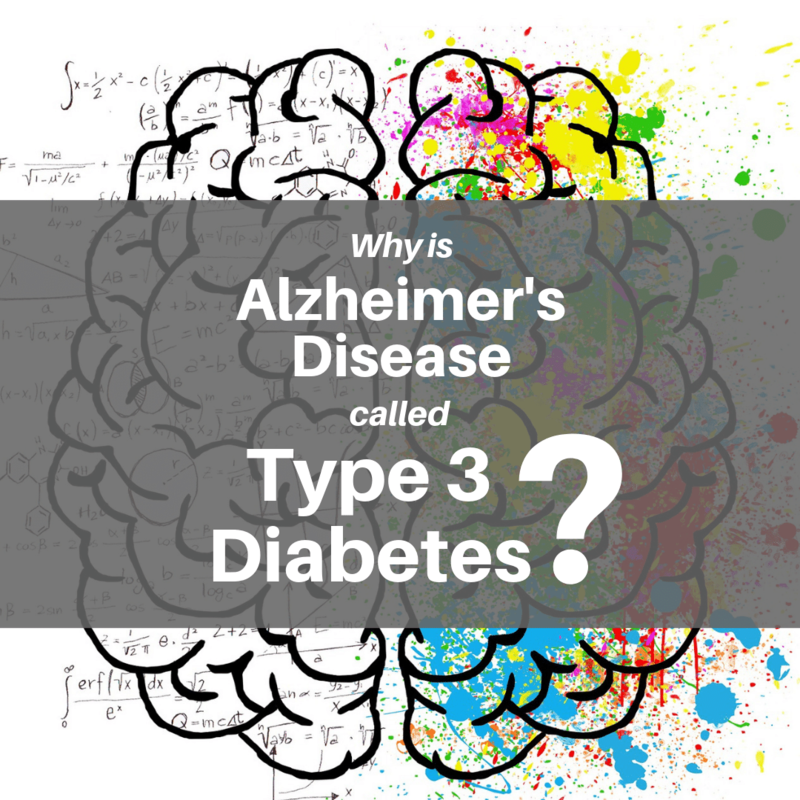 This is why we are starting to hear Alzheimer’s disease referred to as type 3 diabetes. She discovered this connection while running tests on rats. In these tests, she blocked the insulin production in rats and monitored the effects. 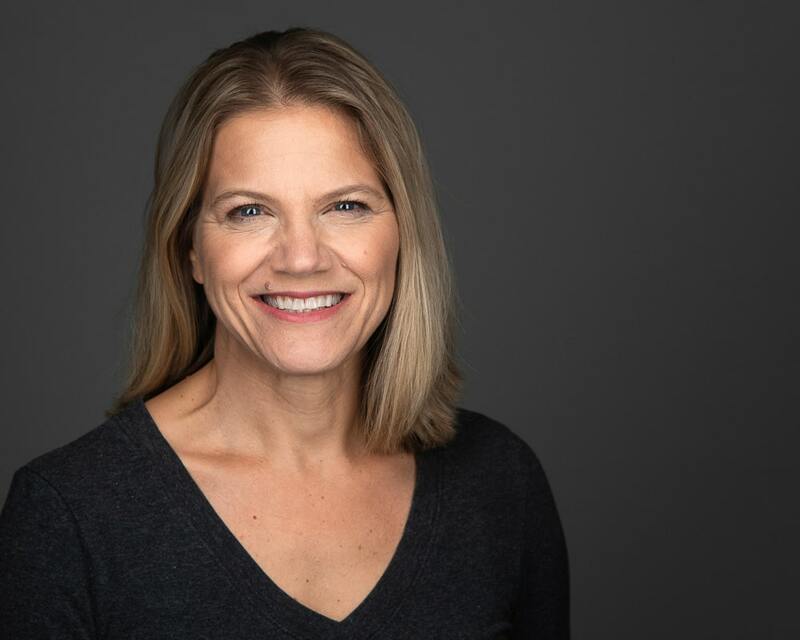 She noticed that this caused their brains to develop the same plaques and tangled nerve fibers that show up in Alzheimer’s patients. 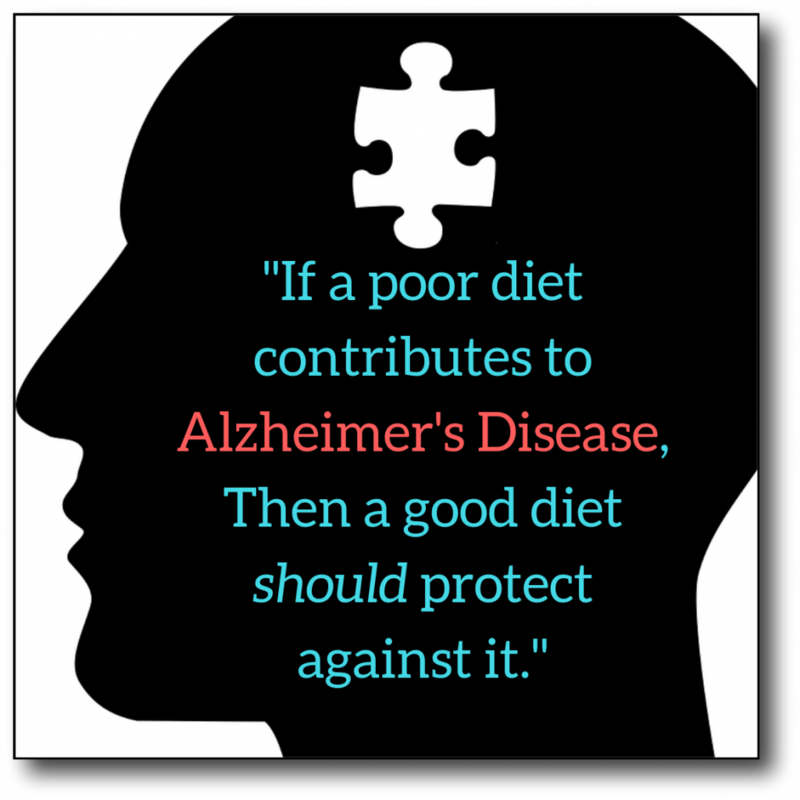 If there is a silver lining to all of this, it would be that if a poor diet contributes to Alzheimer’s, then a good diet should protect against the disease. In fact, there is research to support this idea. This diet change resulted in a reduction of the hallmark plaque deposits associated with Alzheimer’s disease. It is also interesting to note that these results occurred despite the fact that the mice were fed saturated fats. Whether or not saturated fats are to be avoided is a topic that I have discussed in an earlier post. There are a few things you can do to protect your brain and support your memory and cognitive skills. Going low-carb does not have to mean zero carbs. In fact, carbohydrates are found in plant foods. So a good rule of thumb is if the food still looks like a plant, it is going to be a better choice than a food that no longer looks anything like a plant. 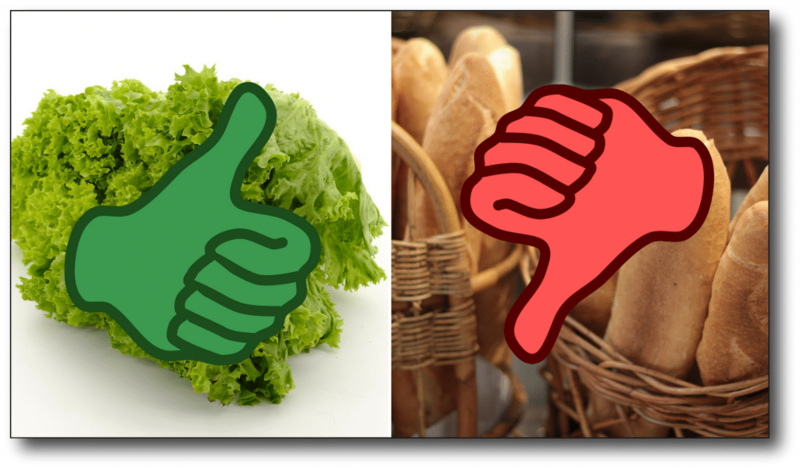 For instance, leafy greens are a much better choice for controlling blood sugar and insulin than a donut or even a slice of bread. Fats do not impact your blood sugar or insulin, and they keep you feeling satisfied. 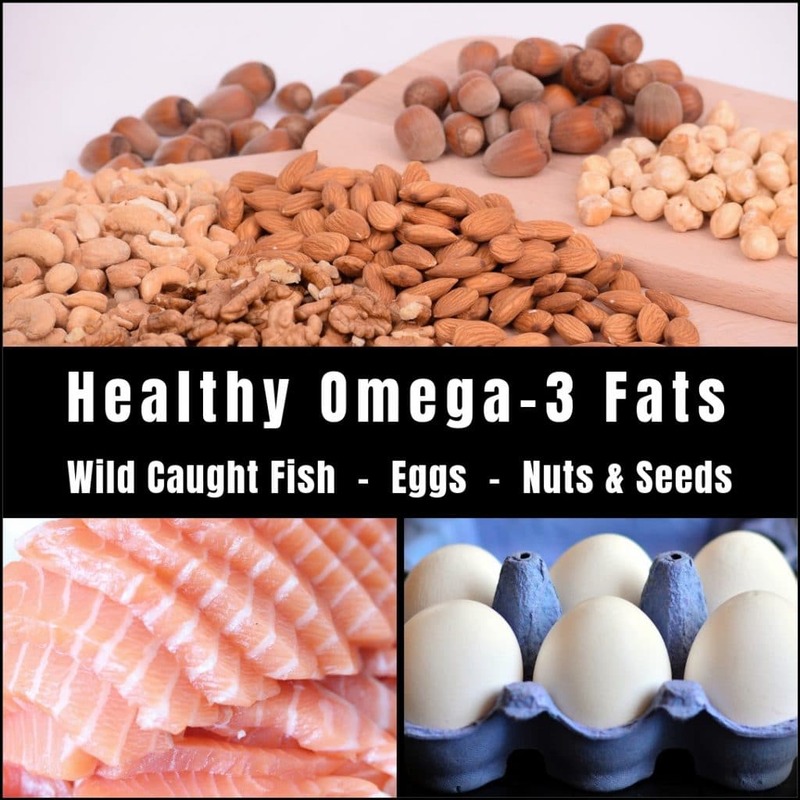 Omega-3 fats are particularly good choices for brain health. So make sure that you are including foods like wild-caught fish, eggs, nut, and seeds in your daily diet. If you are new to a low-carb, high-fat diet and need a place to start, check out my free video series and learn my 0,1,2,3 strategy. 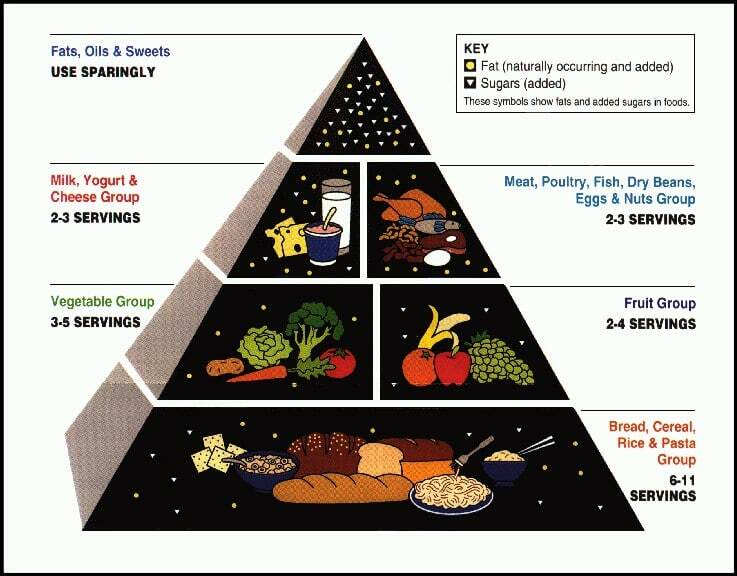 It will help you get the sugar out of your diet and high-quality carbs, like non-starchy vegetables into your diet. de la Monte, Suzanne M., and Jack R. Wands. 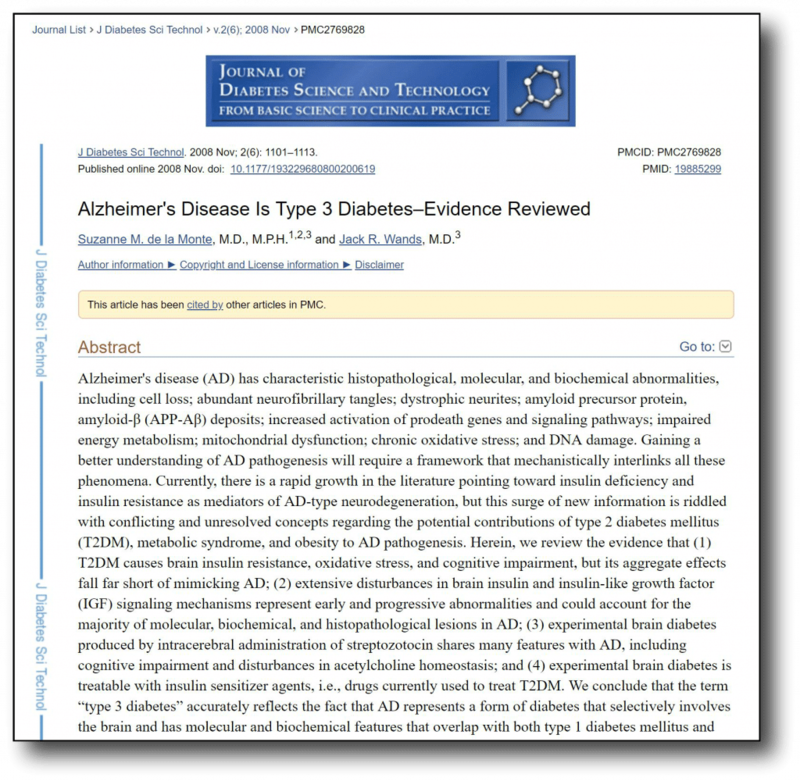 “Alzheimer’s disease is type 3 diabetes—evidence reviewed.” Journal of diabetes science and technology 2.6 (2008): 1101-1113. Kodl, Christopher T., and Elizabeth R. Seaquist. “Cognitive dysfunction and diabetes mellitus.” Endocrine reviews 29.4 (2008): 494-511. Van der Auwera, Ingrid, et al. 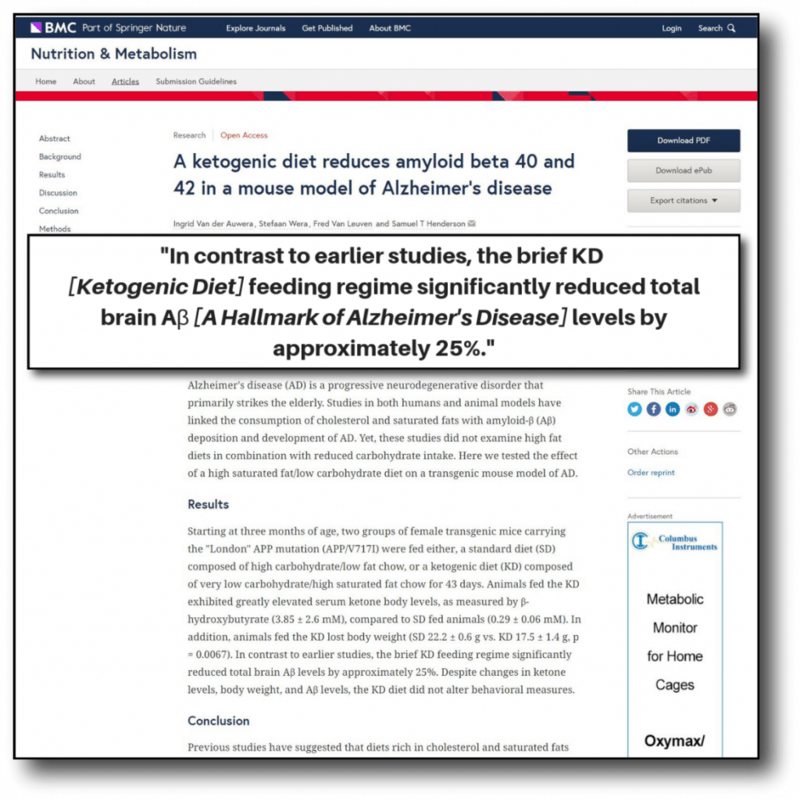 “A ketogenic diet reduces amyloid beta 40 and 42 in a mouse model of Alzheimer’s disease.” Nutrition & metabolism 2.1 (2005): 28.